The vineyard was planted in 1961, and is located 8 km from Porto Pollo in the town of Serra-di-Ferro, just behind Antoine Arena’s Carco from Patrimonio. Planted on granite and shale soil and facing east, it has full sun exposure from dawn till dusk. The original proprietor Francois Casabianca was anxious to perpetuate the winemaking traditions of his family, so in April 2005 he decided to hand over the reins of the estate to his grandson, Sébastien Poly. 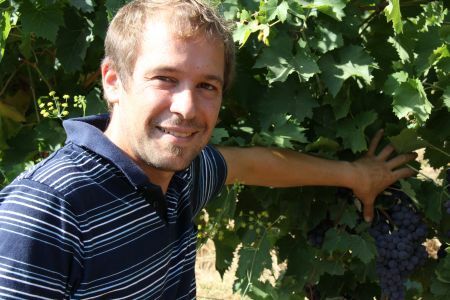 Poly gained much of his knowledge from working at vineyards in Hungary and New Zealand. In 2008, Domaine U Stiliccionu was certified biodynamic and expanded to six hectares.